Some girls love diamonds, others love pearls....this girl? Piggy's! I've lost count of how many little stuffed pigs she has and she's always wanted a pet pig. 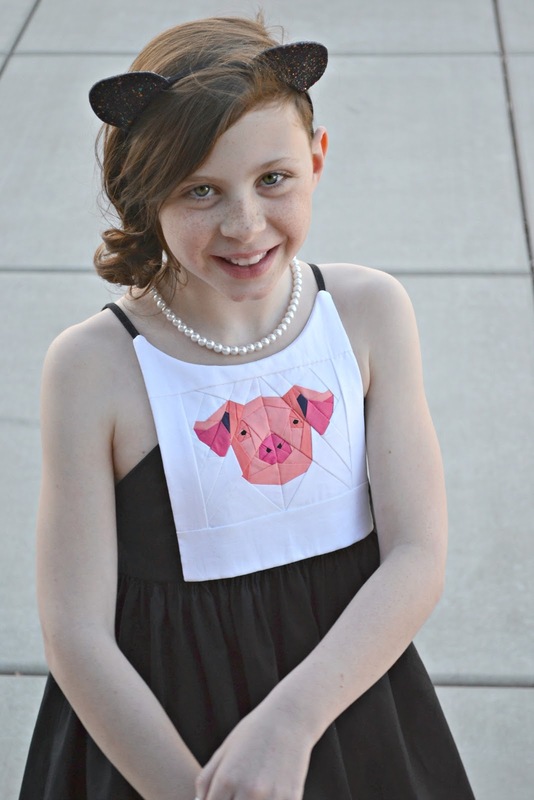 Since the pet pig is out, I figured it only fair that I make her a pig dress! Since I've been really working on my quilting this year, I felt that this would be a great way to practice my Foundation Paper Piecing skills. 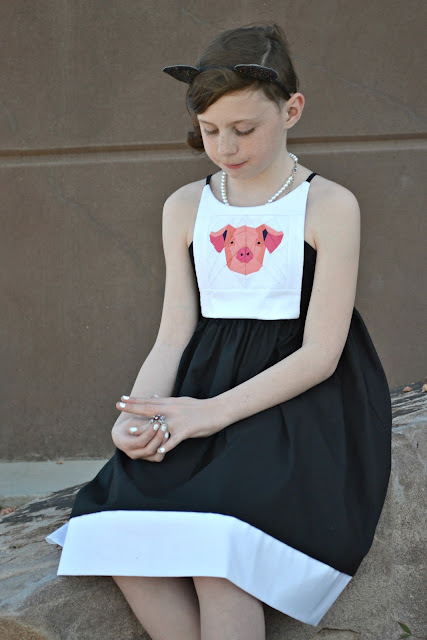 I saw this Pig PDF by Etive & Co and knew it was absolutely perfect for this girl! 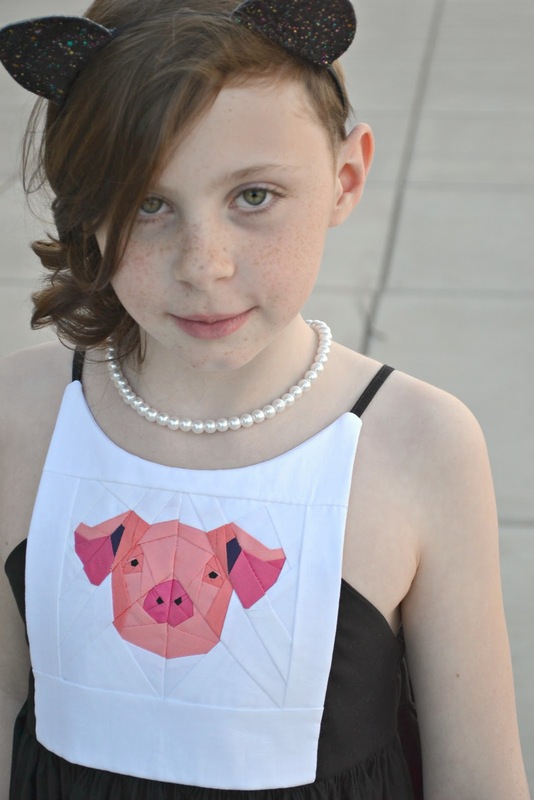 And now that this dress is done, I'm going to need to work on a whole lot more piggy's for an actual pig quilt! 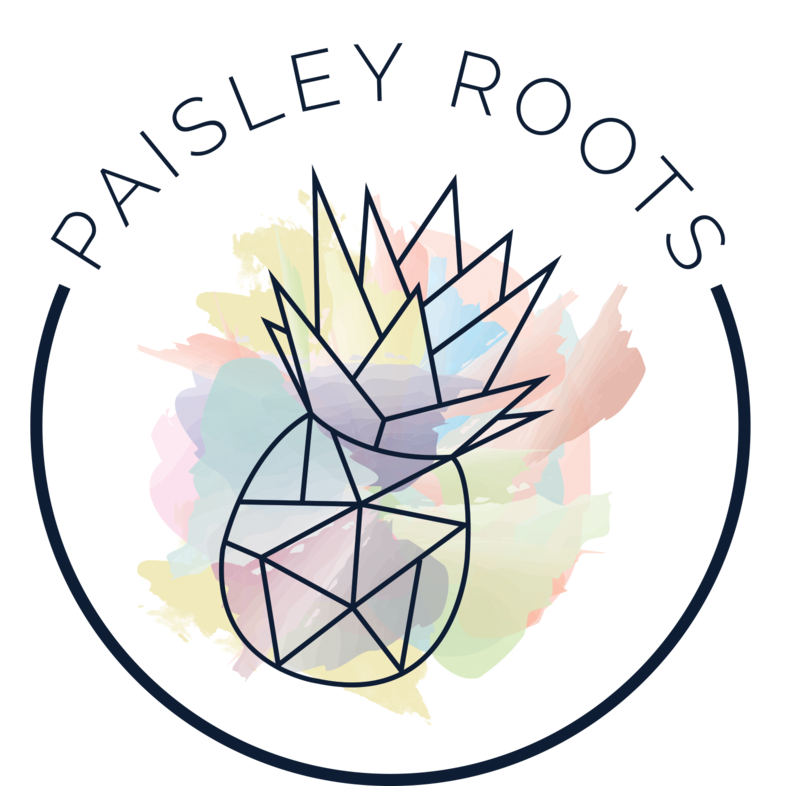 Riley Blake Designs has 247 different colors in their Confetti Cottons. They're 100% cotton which makes them perfect for a wide variety of projects, clothing and quilting alike! I was really working on channeling Miss Piggy and knew it had to be a classic black and white dress. 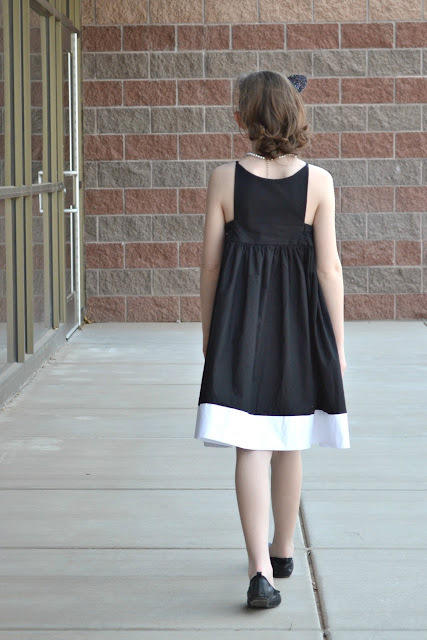 Since summer is literally right around the corner for us, I picked out the Hummingbird Dress by Rabbit Rabbit Creations. It had the perfect front bodice to showcase this pig while also having a very classic look. 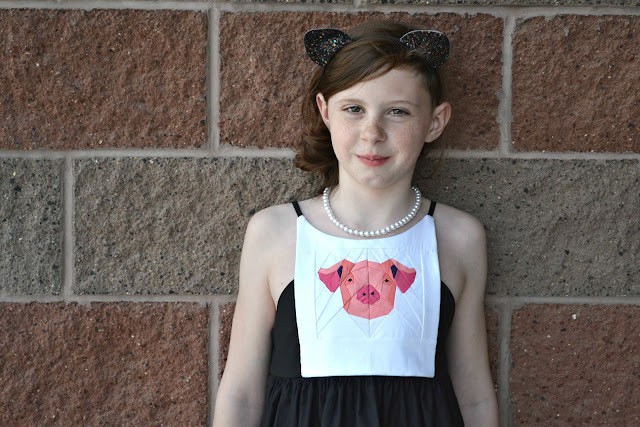 I did scale the pattern of the pig down to be a 5" by 7" size so it would fit. I also added a 4" hem of white to the bottom of the skirt. I accessorized with a pearl necklace and some little pig ears. 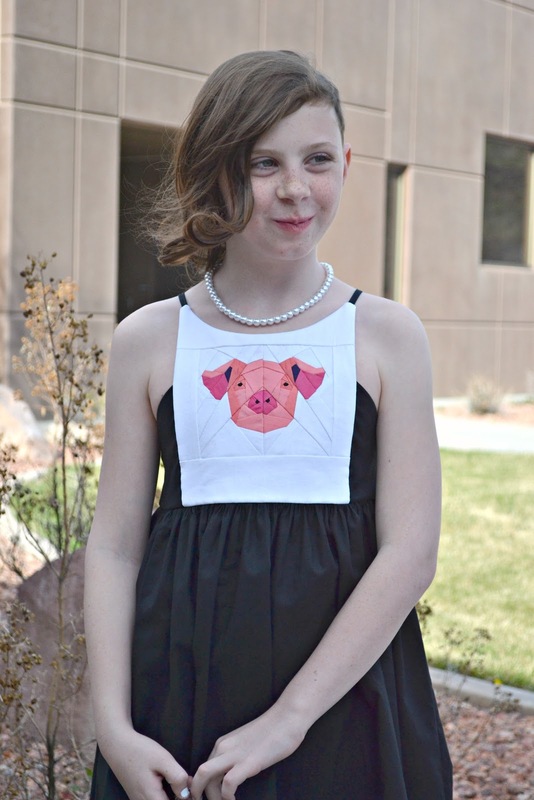 Did I mention this girl was a pig for Halloween?? She's not proud of that fact, but, well, it's bacon people. well, except she has zero interest in eating Elephants, ever! What's your favorite shade in the Riley Blake Confetti Cottons? 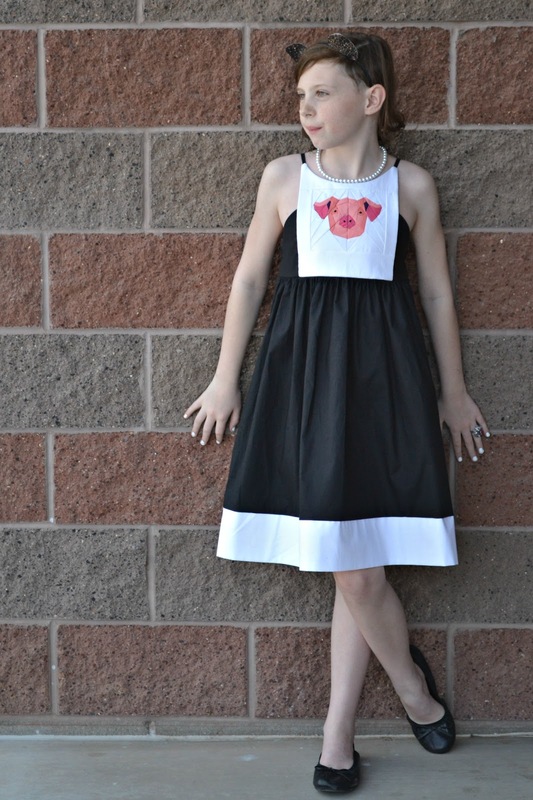 I love this little piggy!!! !